Ron H. grew up using quitting as crutch. He never seemed to be able to finish what he started, including employment opportunities. After struggling with financial hardships, Ron H. soon found himself homeless. 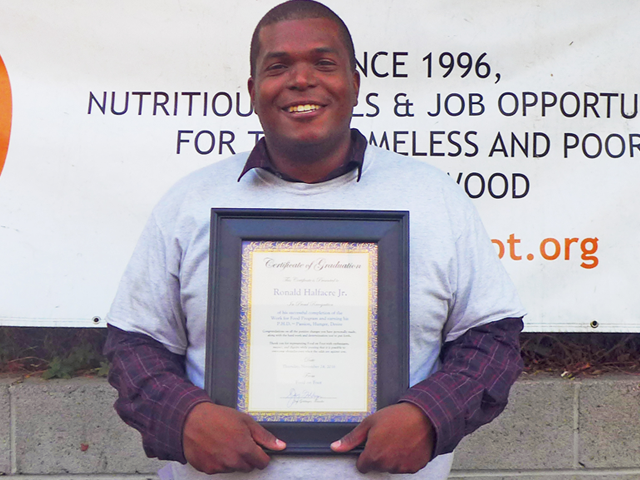 With the help of Food on Foot and our generous donors, Ron has found a new path in life filled with positive work-habits. 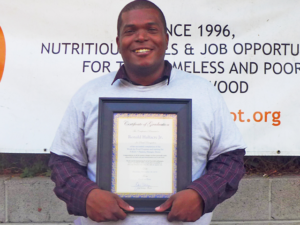 He graduated the Work for Food program on Thanksgiving of 2016 with a full-time job and his own apartment.